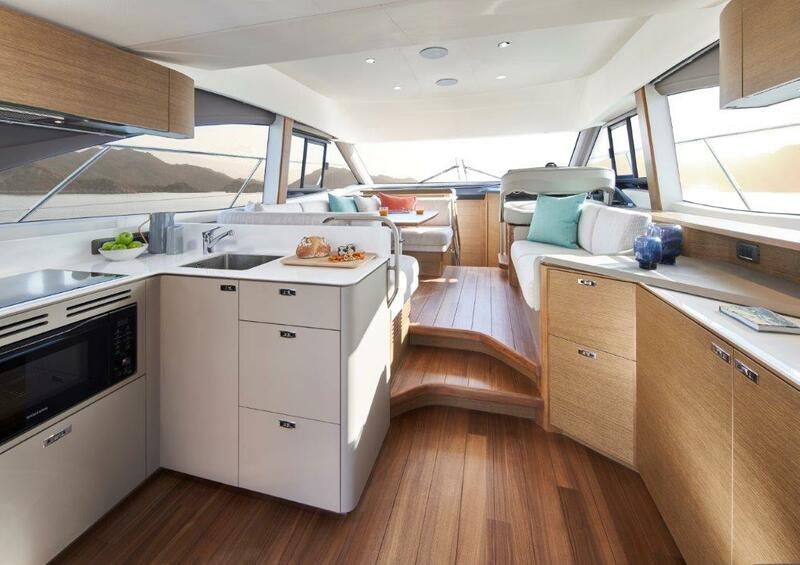 Introducing the all-new Princess F45, the exciting new addition to the Princess flybridge range, combining flexible on-deck living with innovative design. 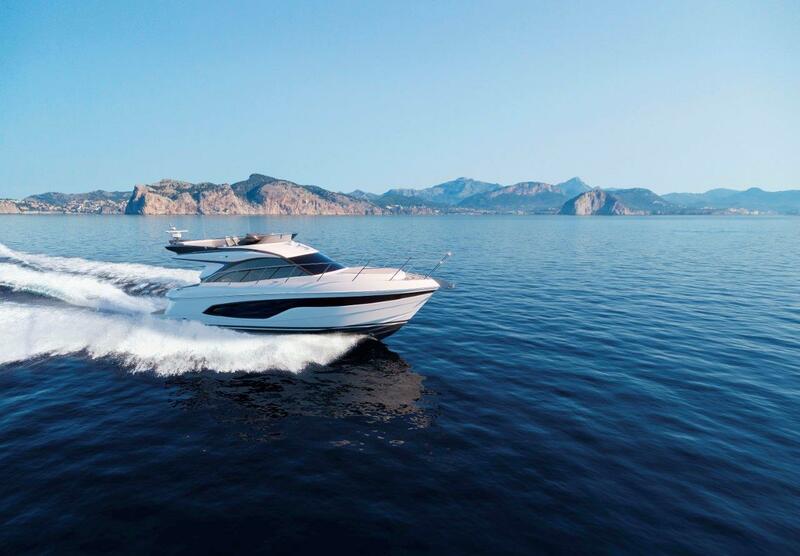 Introducing the all-new Princess F45 – following on from the release of the Princess F70 in Spring 2018, this new addition to the Princess flybridge range has been eagerly anticipated. Offering the perfect size flybridge yacht under 50ft with contemporary design, flexible living space and oozing confidence on the water, this yacht has been crafted with on-deck living in mind and will be sure to turn heads since her debut at Dusseldorf Boat Show in January 2019. 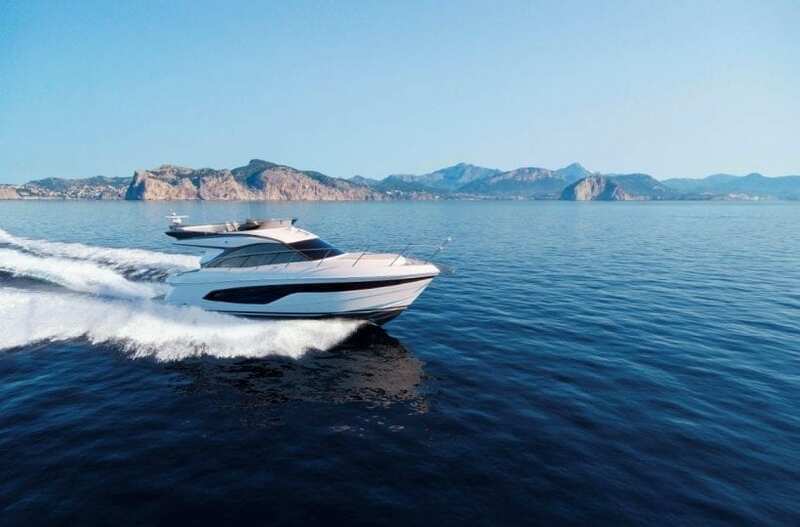 Evolved from the Princess F55 and F62, the Princess F45 encompasses strong, continuous feature lines with a dynamic, contemporary interior; there is a confident character about this yacht which projects the flybridge range into a new era. 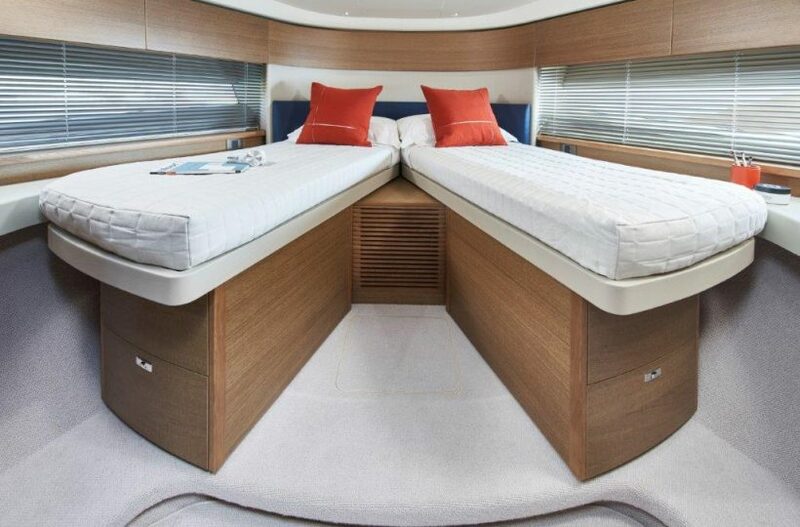 The moment you step on board, the flexible spacious living space is clearly apparent in her deceptively roomy cockpit area designed for socialising. 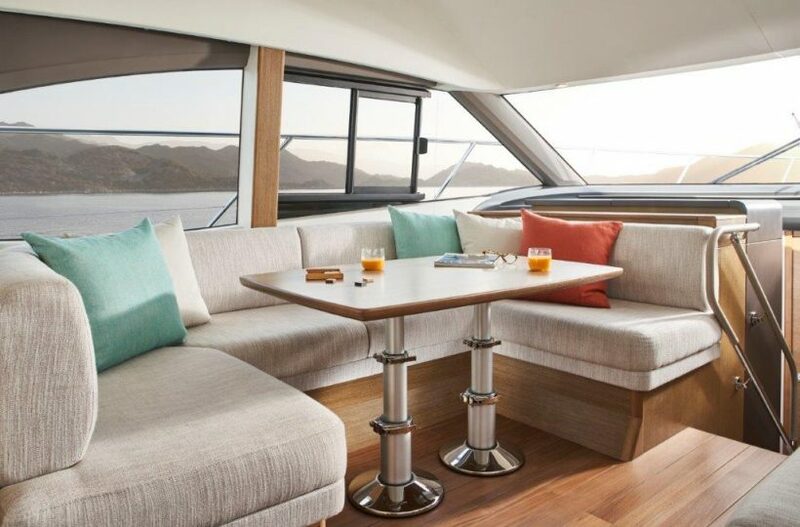 With a seamless connection to the galley and the extendable aft seating area creates allows the yacht to adjust to your living. Panoramic windows flood the main deck saloon with natural light allowing you and your guests to enjoy the view. 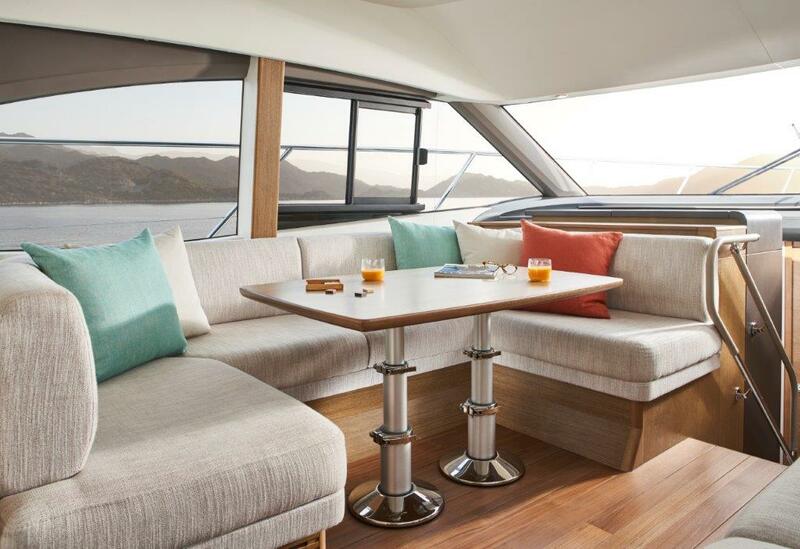 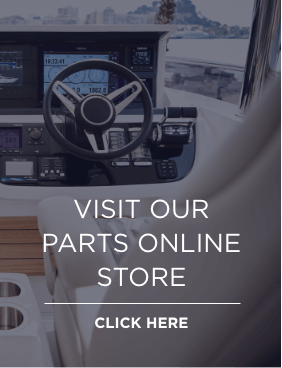 The well-proportioned flybridge features a U-shaped seating area, wetbar, helm and an L-shaped seat which can convert to a sunpad when needed, perfect for those lazy days under the sun and for slicing through the seas enjoying undisturbed vistas. 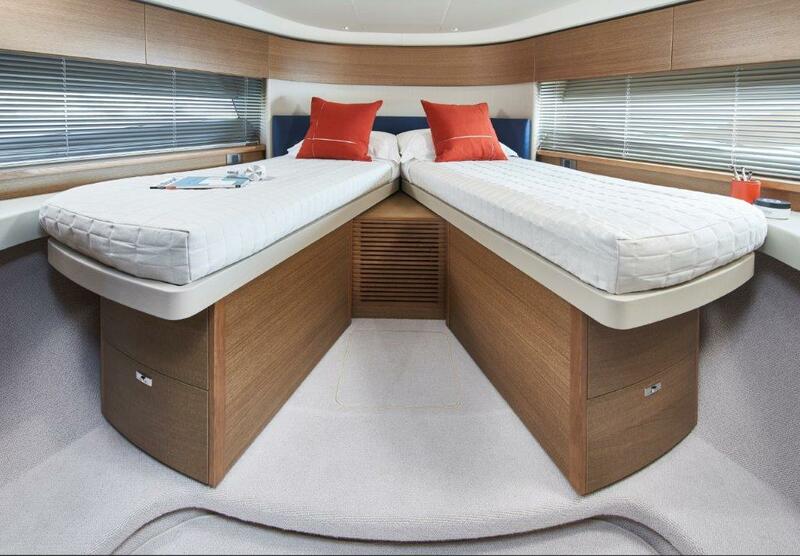 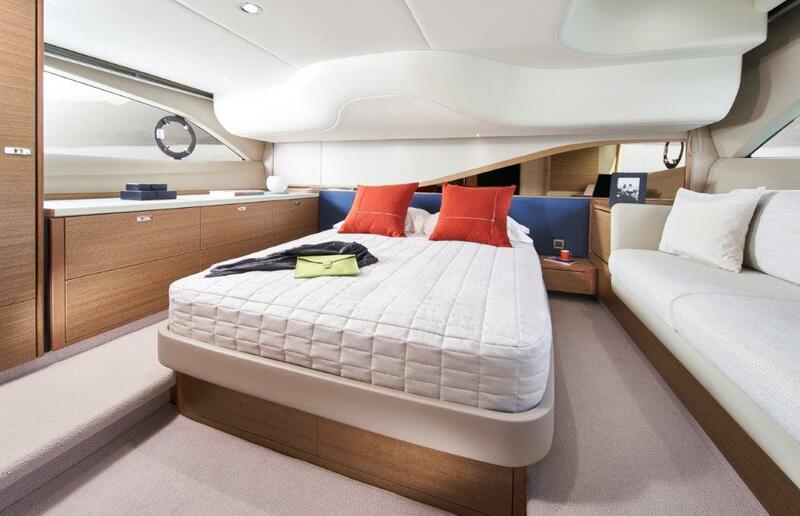 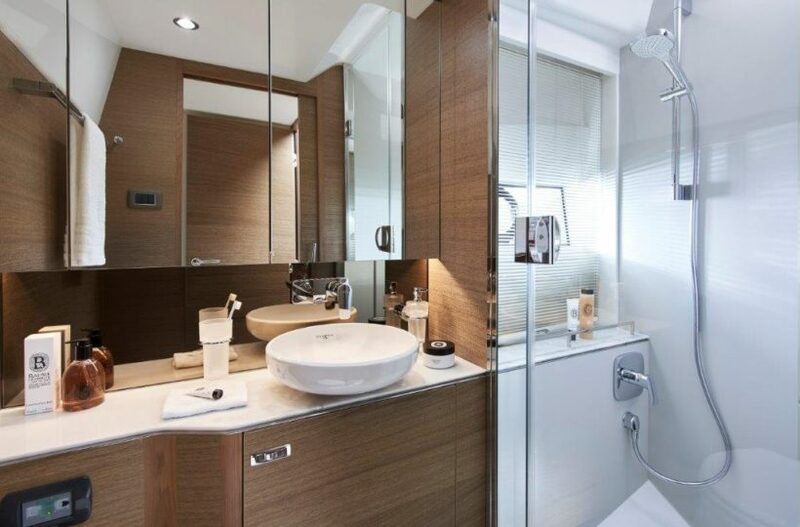 Below deck, you will find a full beam master stateroom with ensuite and a further forward cabin with ensuite, which can be made into a scissor berth. 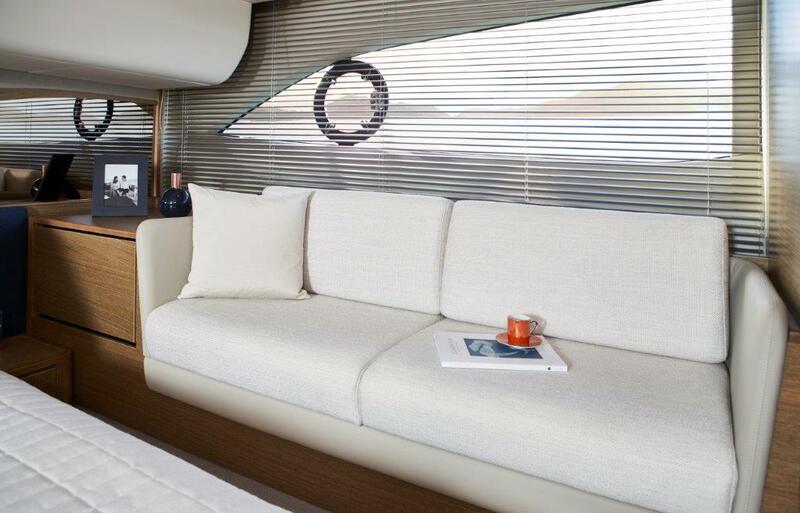 Throughout, she continues to deliver with intricate designs to make the most of her space with optional extras created for sociable living. 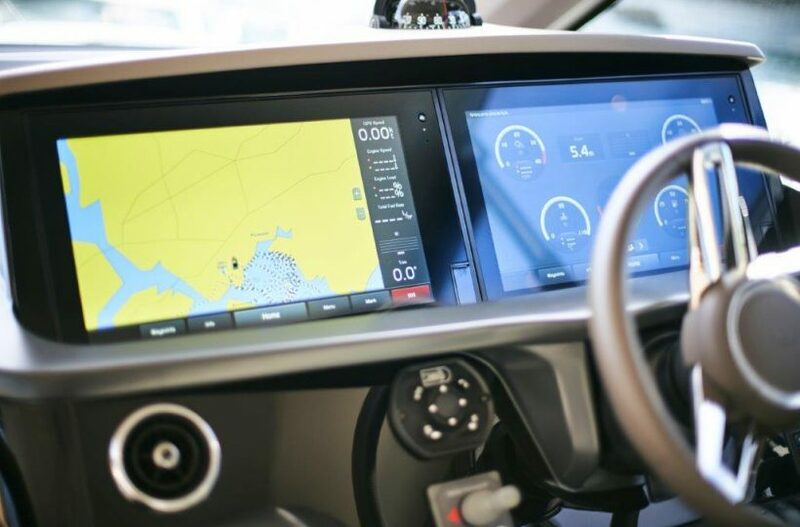 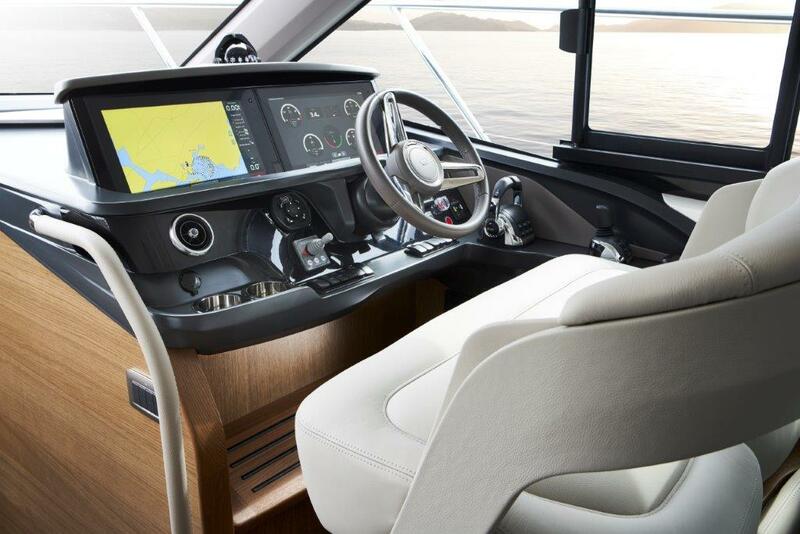 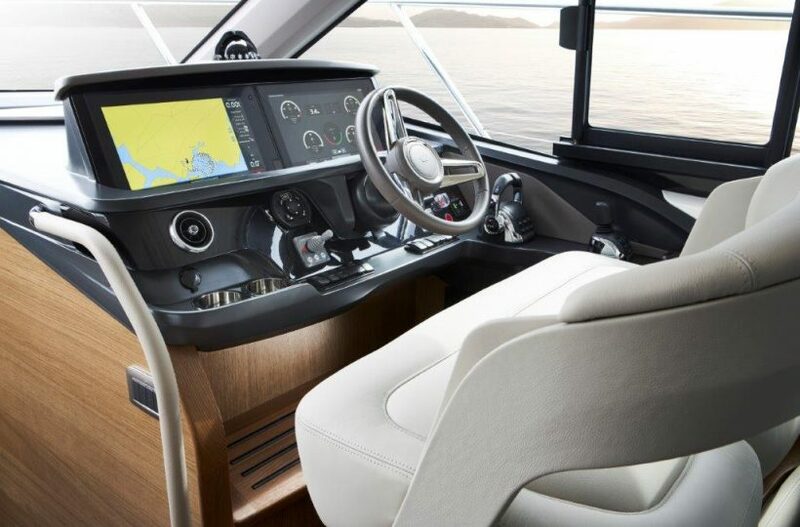 This exciting new model maintains Princess class-leading performance, reaching speeds of up to 31 knots when fitted with the Volvo IPS 600’s, with the added advantage of joystick control.